I do it all the time. Especially because I’m rarely in the same place more than three months. I do it every time I move and go to somewhere “new”, even though the somewhere “new” is a house I’ve been to and/or lived in before. Plants are the main object of my personal nesting, but other things get thrown in, too: small items of furniture, organizational knick-knacks, books, mugs. I arrive, and I feel that I must (“must” being a much stronger word than “have to” here) buy something and put it in my new home. I have a loose concept of home. Or a very strict one, I still have to decide and it’ll probably be the subject of another post, so I won’t waste time (and a title) blabbering about it now. Fact is, when I am in a new home I go out and come back with something that will make me feel more in sync with my environment. The last time I was in Oslo I bought a miniature orchid. Last Saturday here in Madrid I bought a white IKEA coffee table (ok, I sort of needed the table). A few days later, while driving around, my boyfriend spotted a tall shelved wicker thing (no idea what it could be called in English OR in Italian). The kitchen is much tidier now thanks to that freebie. 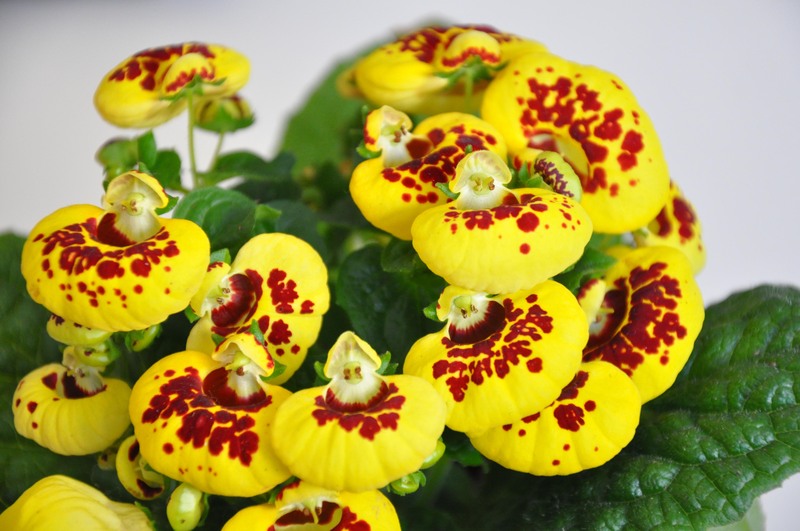 Today (still in Madrid) I bought myself a lady’s purse (Calceolaria spp). She’s sitting on the new white IKEA coffee table right now, having soaked up a whole glass of water, basking in the indirect sunlight I was told (by the internet) she prefers. She’s beautiful, soft, warm and needs me, so I need her. That seems to be the essential part of this nesting process – I need something that needs me to feel satisfied It’s an easy, comforting action-reaction equation and one of my favourites. I am so in love with orchids, it’s unreal.